The final wave of LEGO Dimensions expansion packs of 2017 are here and with them comes an array of wacky new characters to help track down those last few Gold Bricks. Along with five new sets, which include two Team Packs and three Fun Packs, you also get access to three new themed Adventures Worlds and five Battle Arenas along with a very special animated episode of Teen Titans Go! Although it’s yet to be confirmed, these sets could be the last ones released for the LEGO Dimensions platform, which has seen over 60 sets released since it’s debut in 2015. So power up those portals and get ready to jump back into the LEGO Multiverse for our review of LEGO Dimensions Wave 9. Fight off villains with Raven and Beast Boy in the Teen Titans Go!™ Team Pack! The Teen Titans Go! 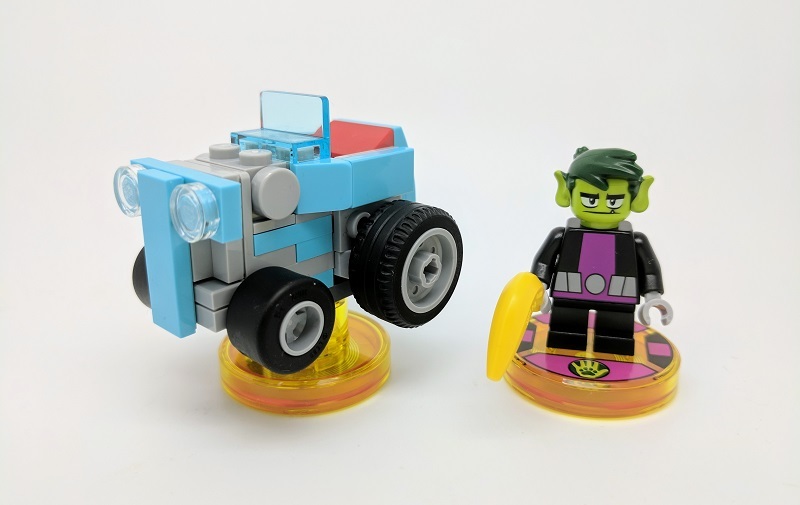 Team Pack includes two exclusive new Minifigures in the form of Beast Boy and Raven. Both characters have dual printed heads and also include an additional accessory each. Both have fairly simple torso and leg details and their facial print is in keeping with their TV versions, so they look at little like those freaky Clone Wars Minifigures released in LEGO Star Wars sets a few years ago. As with all Dimensions packs there’s also a Minibuild set for each character. Raven’s Spellbook of Azarath and Beast Boy’s T-Car, each can be upgraded and rebuilt into two additional models. Both sets have limited functions in game but they are fun little builds especially the T-Car. The Teen Titan Go! 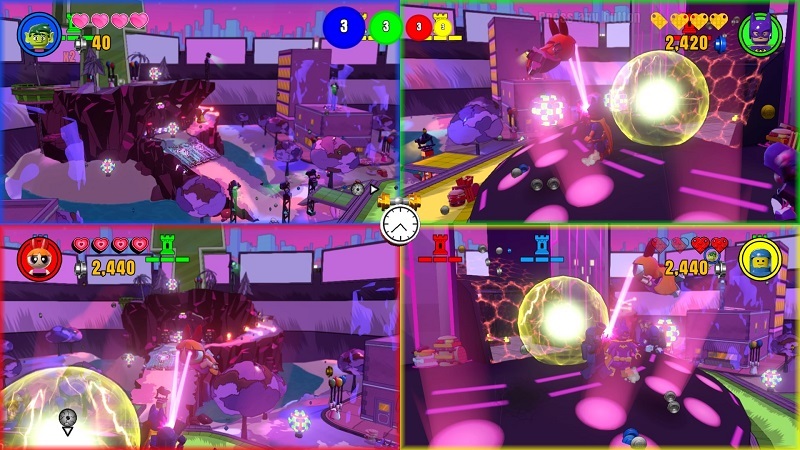 characters give you access to the Jump City Adventure World which is filled with loads of little nods to the animated show and plenty of new quest to complete and gold bricks to collect. You also get access to new Teen Titans Go! Battle Arena. As an added bonus you can add Cyborg from Year 1 DC Comics Fun Pack and Robin from The LEGO Batman Movie Story Pack to the Teen Titans Go! Adventure World to complete the line-up as both characters are transformed into their TTG! versions, complete with all new soundbites and character interactions. 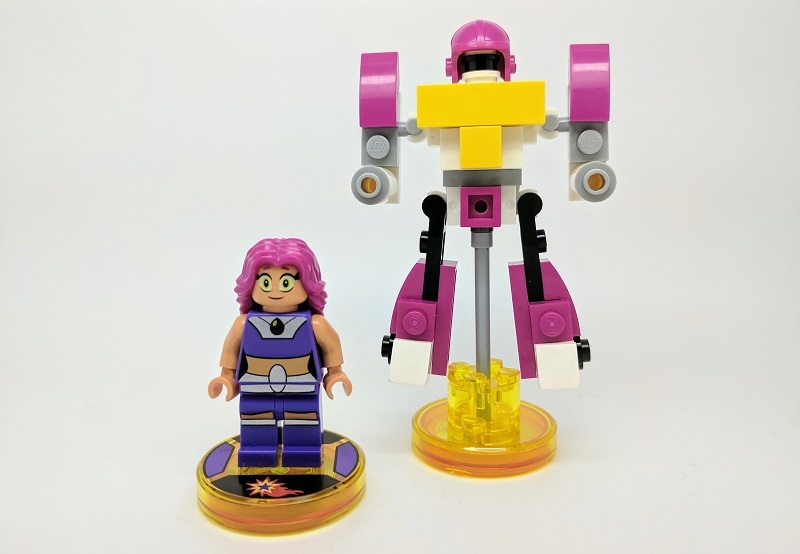 Get ready to save the day in the LEGO® DIMENSIONS™ multiverse with Starfire in the Teen Titans Go!™ Fun Pack! Starfire completes the Teen Titans Go! line-up and is slightly more detailed than her other team members. Just like Raven and Beast Boy, Starfire has the same animated style, but no accessories. It would of been nice is she included a couple of 2×2 transparent green discs to represent her magical abilities. Joining Starfire is the Titan Robot, it’s a decent enough build only let down by the lack of Minifigure head, instead using studs. Starfire also unlocks a TTG! 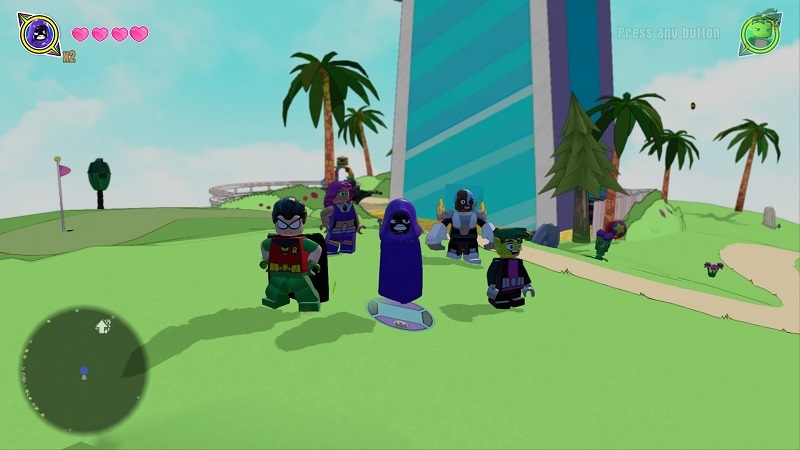 themed Battle Arena, and an exclusive animated Teen Titans Go! episode, which is genuinely fun to watch. This even includes a few cameos from a some other familiar LEGO Dimensions faces. All the voice actors from the show lend their voices to the episode which begins the same animated style as the show before being transformed into 3D and you can access it from the new Shard area next to the TTG! Adventure World portal. Save the world before bedtime in the LEGO® DIMENSIONS™ multiverse with Buttercup™, the toughest fighter! LEGO Dimensions hasn’t shied away from using new elements or even creating new ones especially for certain characters and The Powerpuff Girls certainly make use of this. Buttercup has a brand new element for her head, which is totally in the style of the cartoon and really the only way for the character look like she is meant to in LEGO form. Joining Buttercup is the Mega Blast Bot, again it’s a fun enough little build but has minimal use in-game. Buttercup along with her sisters can access the Townsville Adventure World and a new Battle Arena. The Townsville Adventure World is really fun to explore when some great little puzzles to complete which make use of plenty of other LEGO Dimensions characters. 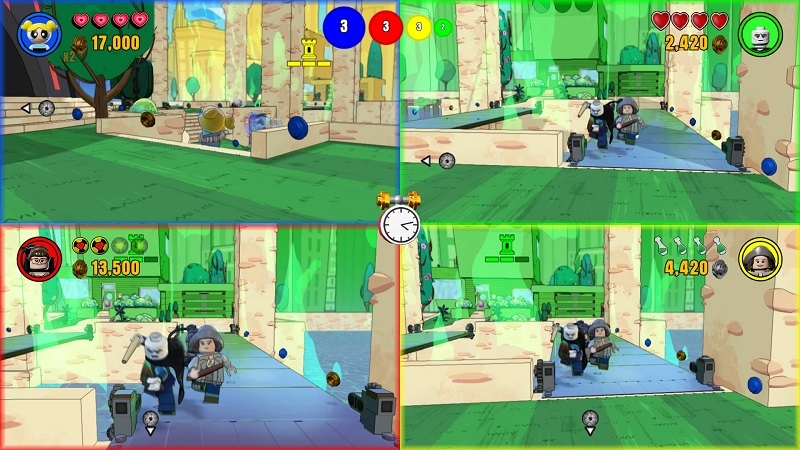 Buttercup herself has some useful abilities especially being able to access ball switches. Sugar, spice and everything nice! Bring Townsville to life in the LEGO® DIMENSIONS™ multiverse with Blossom™ and Bubbles™! 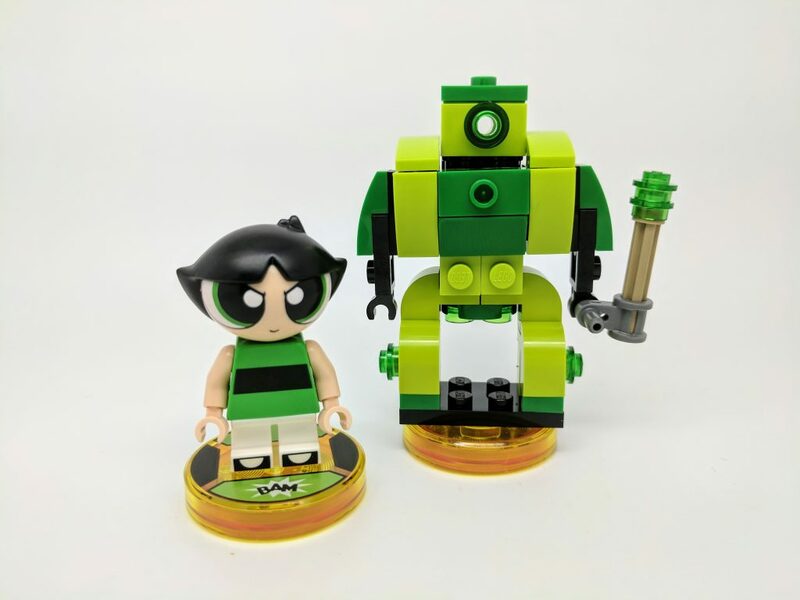 If Buttercup is the spice, then Blossom and Bubbles are the sugar and everything nice, added little with a little Chemical X gives you another LEGO Dimensions team up. Both Blossom and Bubbles have all-new headpieces, considering how expensive new LEGO elements are to create it’s impressive to see each character getting their own new piece. They will certainly be worth investing in as there certainly won’t be the same volume of sets produced compared to past expansion packs. 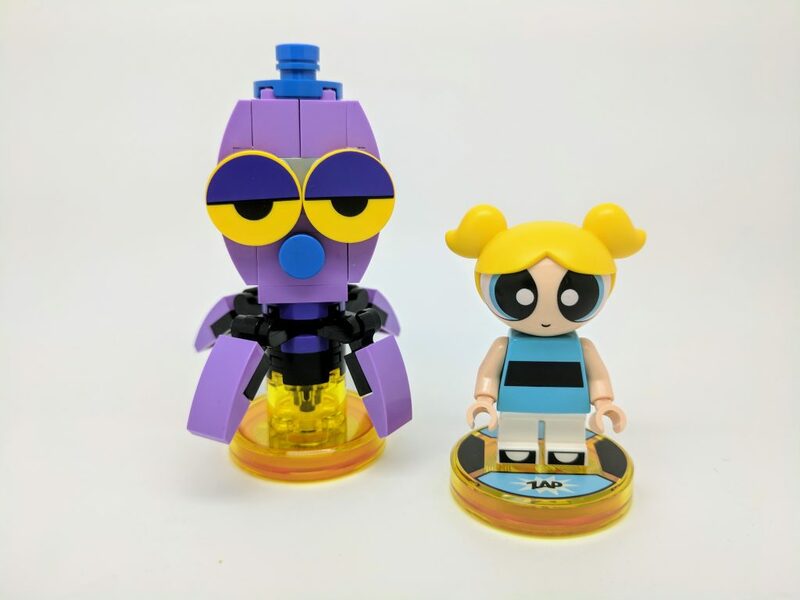 The PPG Team Pack includes the best Minibuilds of Wave 9 particularly Octi. 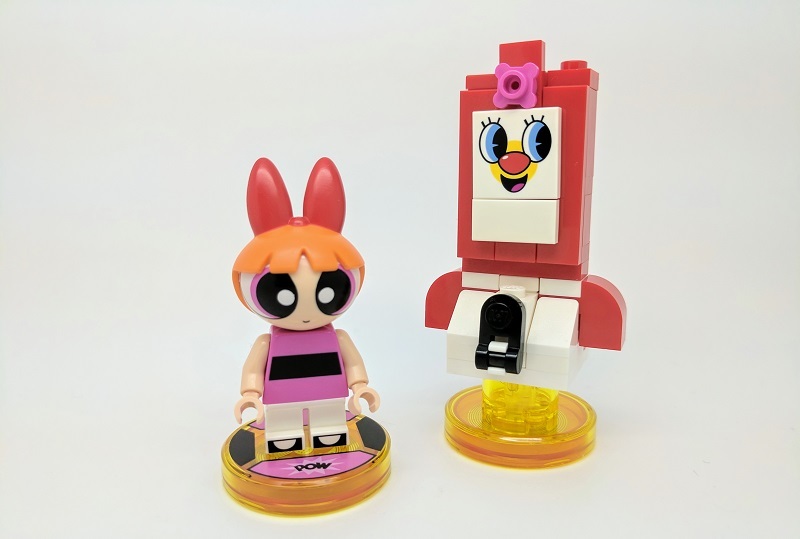 Joining Bubbles favourite toy is the PPG Smartphone, both Minibuilds use printed pieces which has been a running theme across all LEGO Dimensions Fun, Team and Level Packs. 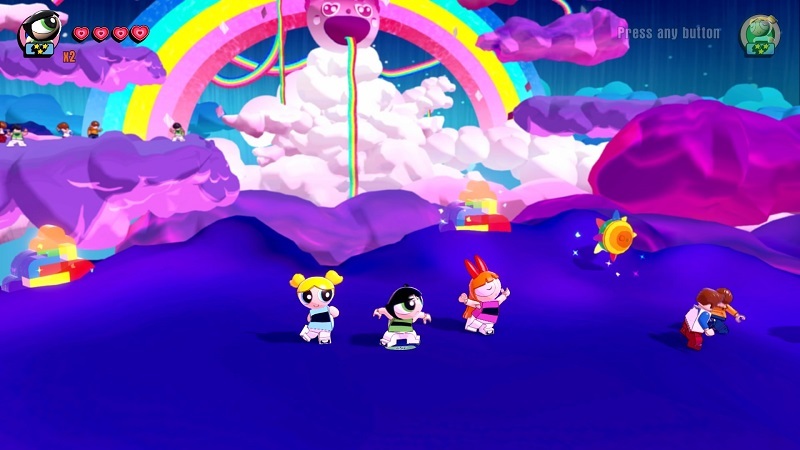 Both characters also give you access to The Powerpuff Girls Adventure World and an additional Battle Arena. Between the pair of them, The Powerpuff Girls Minifigures have a nice spread of abilities especially Bubbles who can interact with Rainbow Bricks and Parseltongue Doors. It’s showtime! 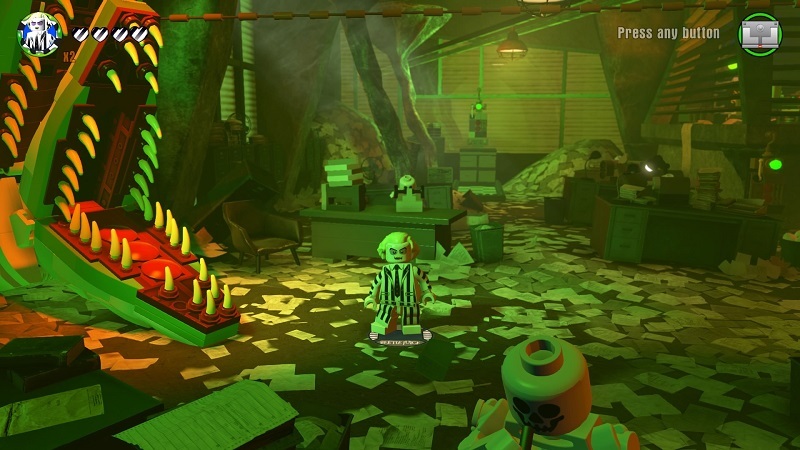 Bring Beetlejuice™ to life in the LEGO® DIMENSIONS™ multiverse for an eerie adventure! 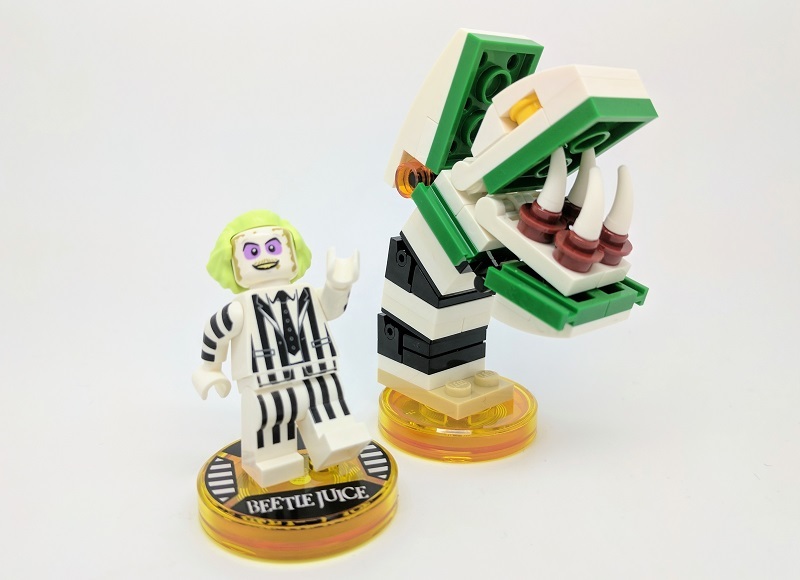 One of the strangest additions to LEGO Dimensions in the Beetlejuice Fun Pack, but it’s a great additional to the theme and the only way we would ever get an official Beetlejuice Minifigure. And what a Minifigure it is, perfectly managing to capture the ghost with the most’s foul features in LEGO form. The recoloured hairpiece last seen on the LEGO Dimensions version of Doc Brown is perfect for the character. He is also joined a brick-built Saturn’s Sandworm which is a great build and looks cool as well. Beetlejuice unlocks a new Battle Arena and Adventure World, which seems a little boring at first. Based on the sand swept surface of Saturn, it’s not until you go exploring you find all the fun elements from the film. These include the Deetz’s family home, Limbo’s waiting room and the model village, which is filled with loads of stuff to do. A special mention must go to Beetlejuice’s in-game mutterings, they appear to be newly recorded as opposed to being lifted from the film and they are very amusing, even if they will be lost of some of the games younger players. Wave 9 is certainly a strange line-up of IPs, two of Cartoon Networks most popular animated shows with Warner’s blockbuster 80s cult classic. But this is exactly what I have always admired about LEGO Dimensions. Sure some of the sets are a little left-field but if it wasn’t for the theme we wouldn’t have half the characters we do. If this is the end of LEGO Dimensions I can’t say it’s a great wave of sets to go out on, especially when compared to other expansion packs. But each Wave 9 pack does have an exclusive Minifigure which is extremely unlikely we will see anywhere else. The exclusive episode of Teen Titans Go! is genuinely fun to watch and it’s extremely well animated almost to the same standards as the various LEGO movies. In fact I’d love to see more maybe LEGO Dimensions could live on as a animated series on Cartoon Network. Although this wave of LEGO Dimensions set hasn’t really had the coverage it deserves, we certainly recommend checking them out, each have their merits, from the nostalgic draw of Beetlejuice, to the unique elements of The Powerpuff Girls, to the exclusive content offered by the Teen Titans Go! 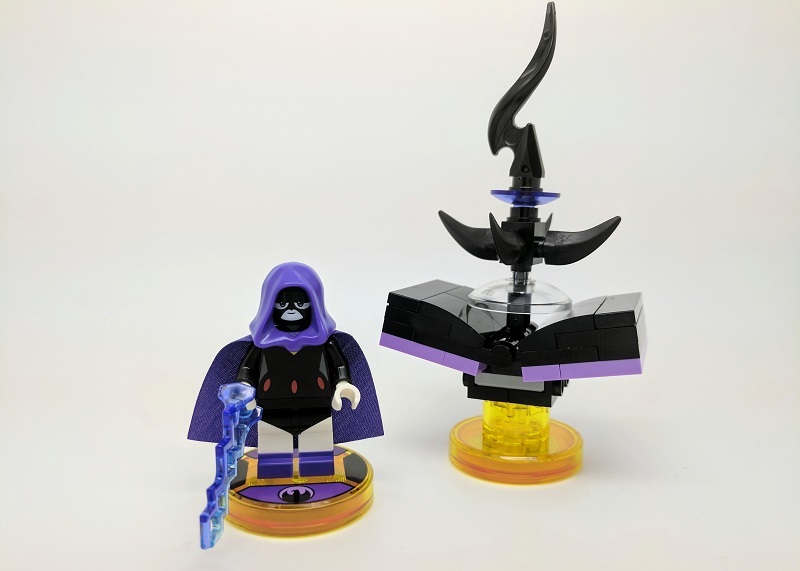 LEGO Dimensions Wave 9 sets are available now from both shop.LEGO.com and Amazon. Thanks to Warner Bros. Interactive Entertainment UK for supplying us with the sets to review.